“Alverstoke” was the name of the house my great grandfather retired to around 1915. 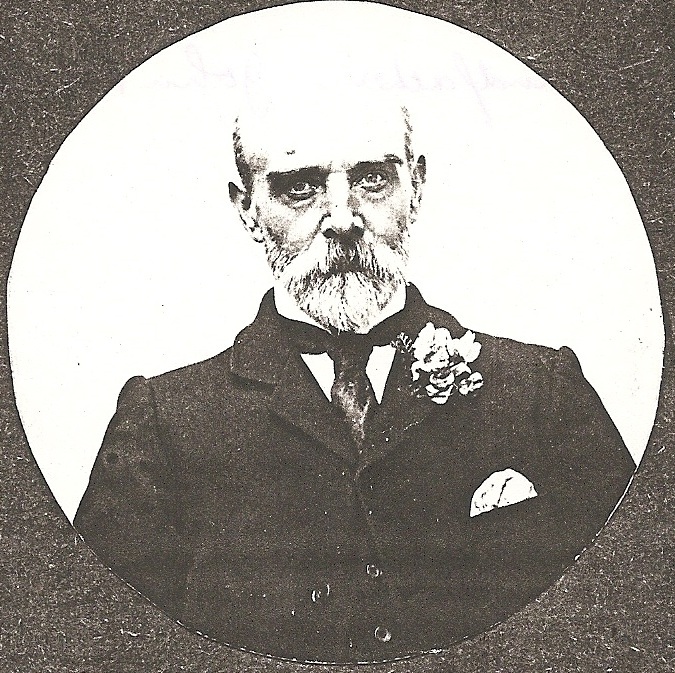 Born in Essex in 1852 he became a master builder and decorator in the East End of London. In 1918 he and his housekeeper, Florence Sarah Moore, had a daughter they named Winifred Palmer Moore. Although they didn’t marry, they lived together at “Alverstoke” until his death in 1932. I realise this is a long shot but I would love to know whereabouts “Alverstoke” was on the London Road and if it still stands. I’ve attached a picture of John Palmer. It was a photocopy sent to me by one of his grandchildren and is the only close-up I have of him. [Ed: Alverstoke was at 319, London Road, Hadleigh (as found in the 1955 Benfleet Council Register of House Names/Numbers). Unfortunately, it no longer stands having been replaced by a new building now housing Amos Estates. If anyone has an early photo of that area before the new shops were built that they would be happy for us to use, please contact the archive by e-mail on hadleighhistory@gmail.com or visit us at Hadleigh Library on one of our drop-in days and we will scan it in and add it to this article. Thank you]. Sad news for this story: Winifred Palmer Moore died of TB in 1944. 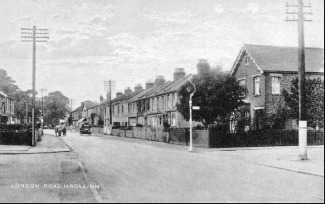 Since publishing your article, the Archive editors have confirmed that the old photograph is indeed of the corner of Oak Road. So it appears that Alverstoke was the large house on the corner. Thank you for the quick response to my query. The house number and photograph are so helpful! Even if this is not the exact house, I can imagine how it looked now.